On April 1st, New York City’s Paid Sick Leave Law went into effect. Under the new law, certain employers must provide sick leave to their employees, allowing them to care for themselves or their families. Employers with five or more employees who are hired to work more than 80 hours a calendar year in New York City must provide paid sick leave. 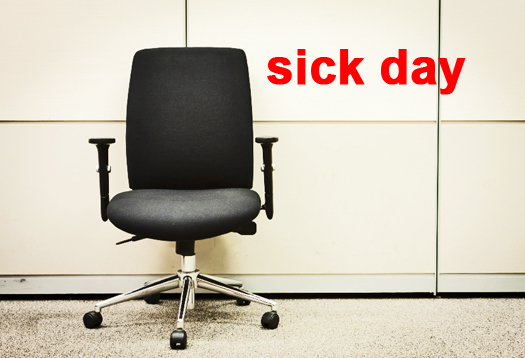 Employers with less than five employees must provide unpaid sick leave. Employers who have one or more domestic workers who have been employed at least one year and who work more than 80 hours a calendar year must provide paid sick leave. There are a number of exemptions to this law, including employees who work eighty (80) hours or less in a calendar year. A list of full exemptions not covered by the law can be found here on the What Employers Need to Know website. This site will help you determine if the law applies to you, which employees are covered, how leave is accrued, and other important information. You must provide each employee with written notice of the employee’s right to sick leave, including accrual and use of sick leave, the right to file a complaint, and the right to be free from retaliation. The notice must state the employers year end and year beginning (calendar year), including Start Date and End Date. The notice must be provided in English as well as the employee’s primary language, if it is one of the following: Spanish, Chinese, French-Creole, Korean, Italian, or Russian. Arabic and Bengali versions will be available soon at nyc.gov/PaidSickLeave. April 1, 2014: Existing employees, who were already working for your business, began accruing sick leave. Employees accrue one (1) hour of sick leave for every thirty (30) hours worked. May 1, 2014: You must give existing employees the Notice of Employee Rights. July 30, 2014: Existing employees can begin using accrued sick leave. New employees can begin using accrued sick leave 120 days after their first day of employment. All covered employers must comply with the law starting April 1, 2014. Existing employees must be provided notice by May 1, 2014.
b) Manufacturing businesses listed in sectors 31, 32, or 33 of the U.S. Department of Labor’s North American Industry Classification System (NAICS). For the full list, click here. New employees must receive the Notice of Employee Rights on their first day of employment, which is when they begin to accrue sick leave. Covered employers should update their employee handbooks with this new policy if they are not already offering paid sick leave. You cannot post the Notice instead of giving it to employees. a) You may ask the employee to sign and date a copy of the Notice and keep a copy for your records. b) You may email the employee a copy of the Notice with the calendar year filled in, and maintain an email receipt. c) You may maintain a log that employees sign when you provide them with the Notice. This content is provided with the understanding that HR Knowledge is not rendering legal advice. While every effort is made to provide current information, the law changes regularly and laws may vary depending on the state or municipality. The material is made available for informational purposes only and is not a substitute for legal advice or your professional judgment. You should review applicable law in your jurisdiction and consult experienced counsel for legal advice. If you have any questions regarding this advisory, please contact HR Knowledge at 508.339.1300 or e-mail us at HR@hrknowledge.com.